Did we send a fax? No. We do not send out invitations for inclusion by fax. We do not use faxes as a regular means of communication. If you have received a faxed invitation, it is not from Canadian Who’s Who. What do I do to report a fraud? Please contact The Canadian Anti-Fraud Centre, 1-888-495-8501. Then who did ask me? The Whos Who name is old, and is sometimes used by other companies that may or may not be asking for money for fraudulent purposes. Please check the name of the organization that has asked you for money. 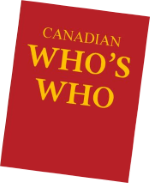 If it is not Canadian Whos Who or Grey House Publishing Canada, it is not us.